After suffering a rotator cuff injury, Windhawk co-founder Tim Hawkins began a quest to heal himself without surgery. From this experience, he developed a passion for understanding the human body and its movement. Tim is now an expert on soft tissue disorders, proper body mechanics and trained in Active Isolated Stretching specialist. Tim has over 15 years of hands on experience working with thousands of various athletes of all ages and abilities, where he specializes with runners, triathletes, cyclists, and swimmers, including a number of Olympic Athletes. He has also spent time instructing classes on Myofascial Release & Neuromuscular Therapy as well as Anatomy & Physiology. Tim is a recognized speaker on various health topics such as osteoporosis, carpal tunnel syndrome, and the benefits of oxygen and detoxifying the body. 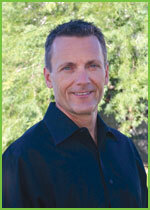 He spent three years as the Head of Research & Development for a multi-million dollar nutritional company. He also has extensive experience in systemizing organizations which he learned from the prominent Gerber Institute, where he received one on one coaching in systemizing and business development. A dedicated athlete himself, Tim enjoys competing in triathlons, long distance running, cycling, martial arts, and ice hockey among other activities. At Windhawk, Tim achieves amazing results with many conditions ranging from chronic fatigue syndrome to conditions as specific as plantar fasciitis. His specialty incorporates Active Isolated Stretching / Myofascial Elongation and core & functional strength, which is designed specific to the individual’s weaknesses. The uniqueness of this method is that he educates his clients on how to treat themselves and their injuries.